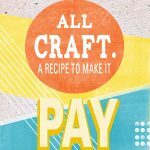 Ok so as I’m writing this post about all the craft business books I have piled up to read, physical and eformat, what do I do? Wander off to read an Etsy article and end up buying this! I’m insane. I’m like a craft book hoarder. Someone else please tell me you have this problem too. Ok so here are some of what’s in my stash and hopefully I can get through them this summer and start implementing all my great learnings in the fall. 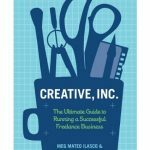 I have read Creative Inc, however I read it in my KOBO app and made notes there and since my app died on me a few times I’ve lost those notes. So a re-read is in order. 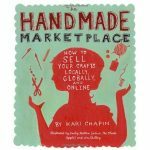 I’ve also read Handmade Marketplace, but I forget all the wisdom. Sheesh, for a teacher I’m apparently a terrible reader and retainer . . . 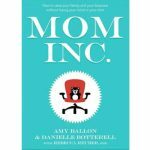 Mom Inc is a great read, I’m about half way through when a shiny object distracted me. What I like about this book is that it’s written by 2 Canadian ladies and since often it’s US authors writing small business books there’s entire parts that just don’t apply, mostly financial bits. It’s nice to read things from my own country since getting supplies and shipping costs and financials are so different from country to country. 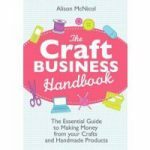 Craft Business Handbook is yet another book I carry around in my bag and might maybe sort of look at from time to time . . . kinda. This book is written by a UK author but so far I haven’t found that too much info doesn’t apply. 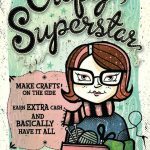 Crafty Superstar is in progress . . . yeah I have a lot of those. Mollie wrote about this book so of course it’s on my wish list now. 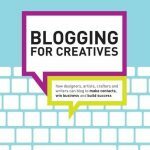 I know I’ve already got my work cut out for me here but if you know of a book I’ve missed, small business of creative type stuff, please leave a comment! Also, if you’ve actually finished any of these and have anything review-like to say you can do that too.